After hitting it big in his early 40s with a role in the blockbuster 1982 film “E.T. 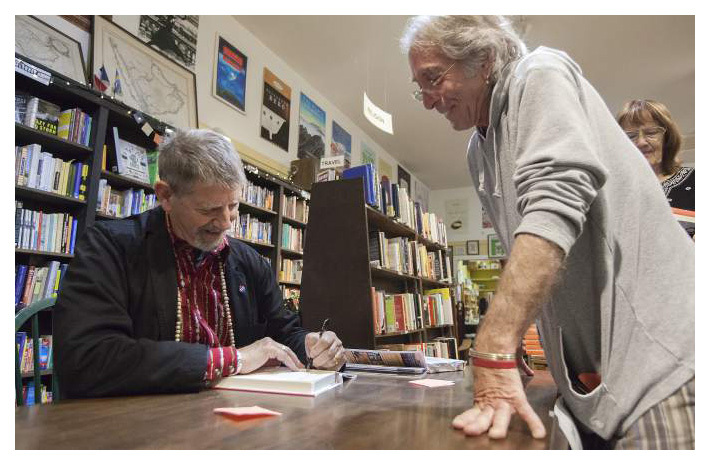 the Extra-Terrestrial,” Peter Coyote is now best known as a busy character actor and the voice of countless commercials and documentaries. He is also making a name for himself as a writer, thanks to excellent reviews of his two books. 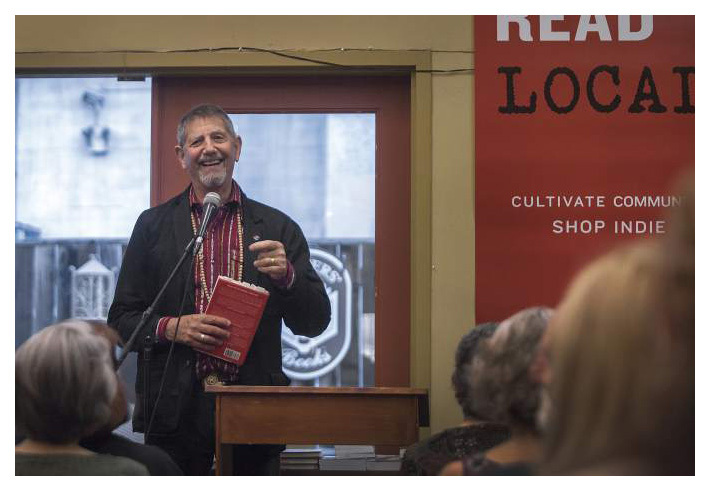 Coyote was in Sonoma on May 28 promoting his new memoir “The Rainman’s Third Cure: An Irregular Education” at Readers’ Books. The longtime Marinite’s commute to the Plaza wasn’t as long as it used to be – the actor-author made the move to Sonoma County this summer. It hasn’t been widely known which town has lured Coyote from his former home in Mill Valley. 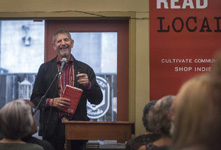 While he said that he loves Sonoma and finds the Plaza charming, it turns out that he is a fan of the “fog belt” and is currently doing renovations at his new place in Sebastopol. 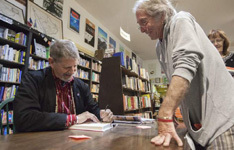 Coyote’s latest memoir is an eloquent introspection of his affluent but miserable childhood on the East Coast; his involvement in the counterculture movement at Grinnell College in the 1960s; and his years of poverty and drug use in California in his 30s – prior to finding success and happiness as an actor and dedicated Buddhist. Today, Coyote takes writing and acting equally seriously. His new memoir centers largely on his early years – which raises the question as to whether his own difficult upbringing inspired him to do things differently with his son, Nick, and daughter, Ariel, both of whom are now grown. Coyote says that he encouraged his children to forge their own path, an idea that sparks in him a passionate defense of college as a time of discovery. Coyote is now in his mid-70s, and with his move to Sonoma County looming, I asked him about his mood and feelings about the future.